Even though it can be easy to fall into the debt trap when you use a credit card, the truth is that sometimes it’s best to use a credit card. It’s true that you can use a debit card in much the same way as a credit card, but there are some things a debit card is missing. Many banks tell you that you can have similar protections with a debit card branded with a major credit card company logo, but there are different requirements in effect to receive that protection. Another consideration is that with a debit card, the money is taken from your account immediately, and you have to ask to put it back — possibly even fight to put it back. With a credit card, the money is not taken out of your account; it is borrowed, and in most cases the credit card issuer can be on your side getting the money back for you by canceling payment to the merchant. In practical terms, it’s easier to stop payment on a credit transaction than to put money back that has already been debited from your account. Whether you are buying gas or making reservations at a hotel, purchases made for travel are best made with a credit card. Not only can you earn rewards when you make these purchases with a credit card, but you also might receive other benefits. Many credit cards include travel insurance, rental car insurance, and other perks that can protect you. Additionally, in some cases your card might be subject to a hold. It happens occasionally with gas purchases, as well as many hotel purchases. If a hold is placed on your debit card, you don’t have funds available until the hold is removed. With a credit card, you have your credit limit, but a debit card is subject to what you actually have in your account. If you have room on your credit card for the hold, it makes more sense than to tie up your checking account funds. When you buy online, you can’t always be sure about what you will end up with, or the state of the goods when they arrive. Making online purchases with a credit card can provide you with warranty protection, as well as a course of action if the goods don’t show up in their promised condition. Many credit card issuers will pay back your purchase if you have a legitimate case. In some cases, it’s easier to dispute (and win) a purchase made with a credit card than with a debit card. In a number of cases, it can make sense to put recurring charges on a credit card. In many cases, from cell phone bills to gym memberships to TV services, putting the charges on your credit card can help you when it comes time to cancel. In some cases, your credit card issuer can help you cancel, and ensure that a cancellation of payment goes through. It can also help you with your cash flow management. Using your credit card for automatic payment of these recurring charges can ensure that your bills are paid on time, and that you have adequate cash flow in the bank account for your obligations. Of course, you should pay off the balance as soon as possible. But, if a paycheck is later, or if you worked fewer hours one pay period, having your recurring charges on a credit card can help. Again, the main advantage to making major purchases — especially electronics purchases — is the protection that comes with using a credit card. 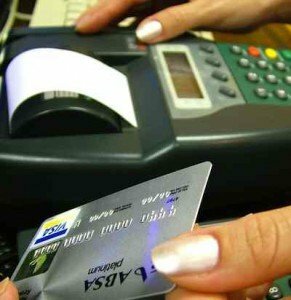 If you have to dispute the purchases, it’s almost always easier to stop the payment on the item with the help of a credit card issuer than to have the money put back into your checking account after it’s been immediately debited. Anytime you are concerned about the quality of an item, and any time you are looking for protection for your purchases, you can usually find another layer with the help of your credit card. Because of the way they work, there are just some purchases better made with credit. I’m a big fan of putting recurring expenses on my credit card. I wish I could pay my mortgage payment that way! The way I see it, I have to pay these bills anyway (phone, utilities, car insurance, etc..), so why not get some rewards from the credit card in the process. Since they’re recurring bills that I have to pay anyway, I’m not enticed to overspend.